To accurately evaluate your mould problem and the causes and treatment, we will need to visit to assess your home. Here we will measure and document your mould issues and provide you with a written inspection report. The Clear Mould fogging service is so effective that the treatment comes with a 3-month guarantee that the mould will not return. After the initial assessment, we pre-spray all mould hot spots where mould is visually concentrated with our preparation solution. This kills mould spores and helps prevent them from being released into the air, and also prepares the surface for Zoono® application. We then use our industrial fogging machines to fog the entire space with Zoono®. The process of fogging allows the product to dry-penetrate surfaces to inhibit and kill organic growth (such as mould) without damaging anything in the space. Treatments usually take no more than 3 or 4 hours, and you can come back into the space shortly after treatment is completed. Even children, pregnant women, and people with asthma or allergies can occupy the treated space confident that it is absolutely safe to breathe the air. The health benefits to having a completely clean indoor environment are immediately noticeable. Your family will feel better, rest comfortably, and breathe easy. We need to visit your property to assess the mould damage and severity to provide you with an accurate quote. We need to evaluate how long it will take to remove the mould and prepare the area for our fogging service. This will depend on the severity of the infestation, the access, and the volume of an area exposed. Alternatively, we can offer you a detailed quote and inspection report for $50 (which covers our basic costs for the call out). If you then choose to go ahead with the job, we will deduct this cost from your bill. Recommendations to improve ventilation and reduce the chance of mould returning. Once you have accepted our quote, we book a time convenient to you to remove the mould. Whether you’re a tenant, home owner or property manager, feel free to get in touch by calling 0800 399 378 or send us a message through our contact form. 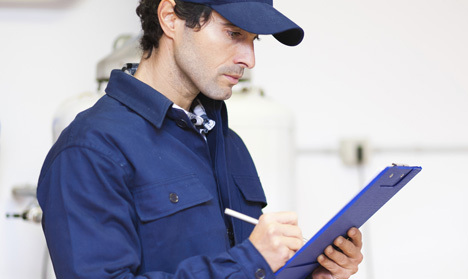 We are happy to help provide you with a quote, a detailed assessment or indication of costs. Based in East Tamaki, Auckland, Clear Mould is dedicated to making New Zealand homes mould-free and comfortable to live in. Clear Mould is the only company in New Zealand that specialises in treating mould with a non-toxic food-safe product. We have full liability insurance and offer 100% satisfaction guarantee.